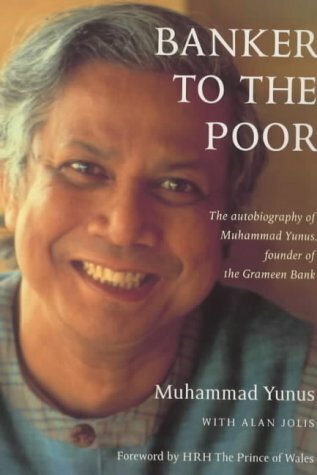 Among some of the best books that I have read is ‘Banker to the Poor‘ (buy from Flipkart or Amazon) by Muhammad Yunus. It is the story of how he created Grameen Bank with the vision of easy credit availability to those who need it the most. 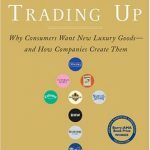 It is a fascinating read, and it is impossible not to take something away from it. He saw a vision, and against all odds, ran Grameen as a business and gave micro-credit to the world. He changed the way the world looked at banking. Apart from the economics, he and Grameen Bank has had a huge social impact in Bangladesh, with millions of households being empowered to live a life they love. For his efforts, Muhammad Yunus was awarded the Nobel Peace Prize in 2006. Muhammad Yunus describes the poverty situation in Bangladesh in this book as “There are many ways for people to die, but somehow dying of starvation is the most unacceptable of all. It happens in slow motion. Second by second, the distance between life and death becomes smaller and smaller, until the two are in such close proximity that one can hardly tell the difference.” He started the Grameen Bank and his microlending experiments with a vision to eradicate this poverty, from his country and from this world. He saw credit as a very basic human right, and went to provide it to the poorest of the poor. He saw the vision of a poverty free world where credit was easily available to those who are most in need of it. He had this vision in Bangladesh, an Islamic country where business and money is looked down upon. Most of his borrowers are women, even when the purdah is still prevalent in rural Bangladesh. He started a bank when nobody in Bangladesh supported him. But he had a vision, and no obstacle can deter him from his vision. There is a famous quote by Gordon Livingston, “Only bad things happen quickly. Virtually all the happiness-producing processes in our lives take time, usually a long time: learning new things, changing old behaviors, building satisfying relationships, raising children. This is why patience and determination are among life’s primary virtues. ” You will not find a better example which demonstrates patience than the story of Grameen Bank. Muhammad Yunus started his experiments in 1974, starting with a $27 loan to 42 people. He continued his experiment from village to village asking the government banks for help only to find closed doors. The Grameen Bank was established only in 1983 and he had to face several hurdles from the government and big banks every step of the way. It was only due to his patience and determination that he turned his dream into a reality. The initial days of his micro-lending experiments were rocky. Nobody believed that he can do what he was saying, and his numbers always fell on deaf ears. He never got funds from the government banks, and Grameen was formally formed only in 1983 after years of perseverance. He continuously had to execute his pilot projects on a bigger and bigger scale just to prove his concept, which he did without frustration and anger. He turned conventional banking practices upside down by lending to the poorest, people who have no collateral and to women who form now 98% of the bank’s lending population. Inspite of all this, he persevered and continued his efforts. He changed his strategies, tactics, and goals over and over, but he never changed or give up on his vision. We shall follow and advance the 4 principles of the Grameen Bank – discipline, unity, courage, and hard work – in all walks of our lives. We shall not live in a dilapidated house. We shall repair our houses and work toward constructing new houses at the earliest opportunity. We shall grow vegetables all year round. We shall eat plenty of them and sell the surplus. We shall plan to keep our families small. We shall minimize expenditures. We shall look after our health. We shall drink water from tube wells. If they are not available, we shall boil water or use alum to purify it. We shall not take any dowry at our sons’ weddings; neither shall we give any dowry at our daughter’s wedding. We shall keep the center free from the curse of the dowry. We shall not practice child marriage. We shall not commit any injustice, and we will oppose anyone who tries to do so. We shall introduce physical exercises in all our centers. We shall take part in all social activities collectively. These principles, along with the credit from Grameen, empowered the villagers day after day to live up the vision of Muhammad Yunus of a poverty free future. 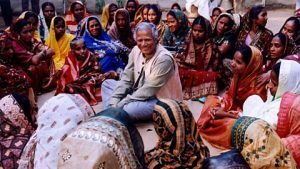 All through his fight for micro-credit to the poorest and his journey with Grameen Bank, Muhammad Yunus challenged traditional practices and continuously innovated to find a way through the different challenges he faced. One of his innovation was to focus on lending to women, as they are more likely to think about the benefit to the whole family. All this in a Bangladesh where women were not even allowed to touch money. Whatever traditional banks did, he did the opposite. He loaned to the poorest of the poor, he loaned to people in groups, not individually. He gave loans without any collateral or security, and without paperwork. He simplified loan repayments by weekly meetings of self-help groups. By all these innovations, Grameen and Mr Yunus effected a paradigm shift in the financial banking system. 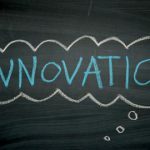 Is the Innovation ladder leaning against the right wall?